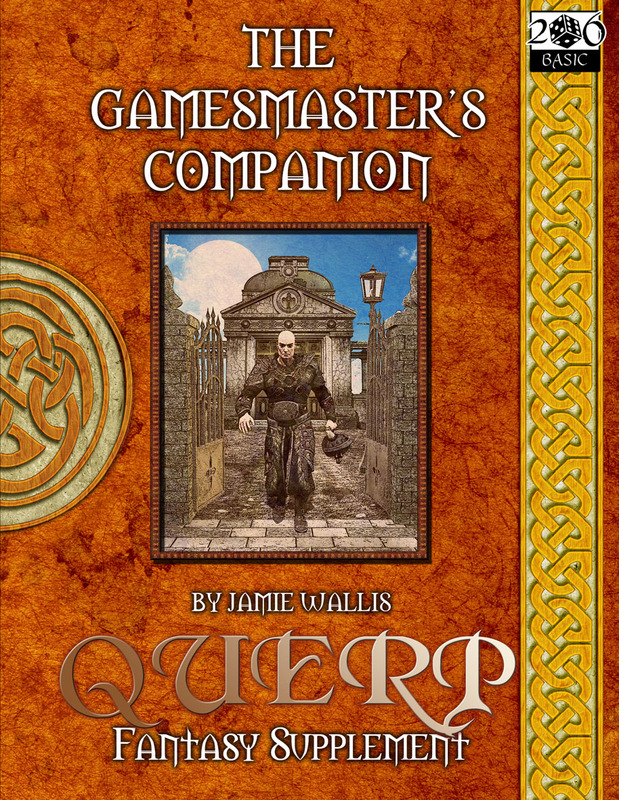 The Gamesmaster's Companion is the fourth book in the QUERP series. This book has been written to introduce new Gamesmaster's to QUERP but could be adapted to introduce a budding Gamesmaster to any game system. Within these pages you will find a whole host of rules, suggestions and aids to help you create your own game world, to write an adventure (both campaign and single session) and new monsters to fill them. There is also a blank dungeon map to get you started. Gaming aids include a city generator, a complete list of spells from all of the QUERP books plus many new ones, magic item tables and descriptions and a the first part of a campaign adventure - Realm of the Ice Giants pt1 - with suggestions and tips for writing the second and third parts. QUERP, the game of Quick Easy Role Play.